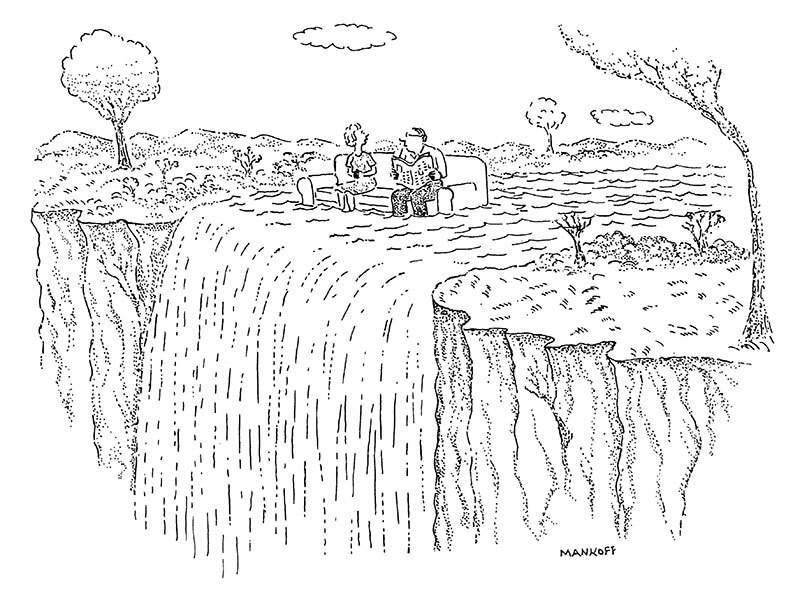 A novice cartoonist, Bob Mankoff, has drawn a married couple on a couch floating down a river, seemingly unaware that they’re headed toward the edge of a waterfall. The wife is calmly addressing her husband, who’s reading the paper. Senilicide (the murder of old people) seems like a fitting note on which to end my section of this commentary, so let’s see what you came up with. 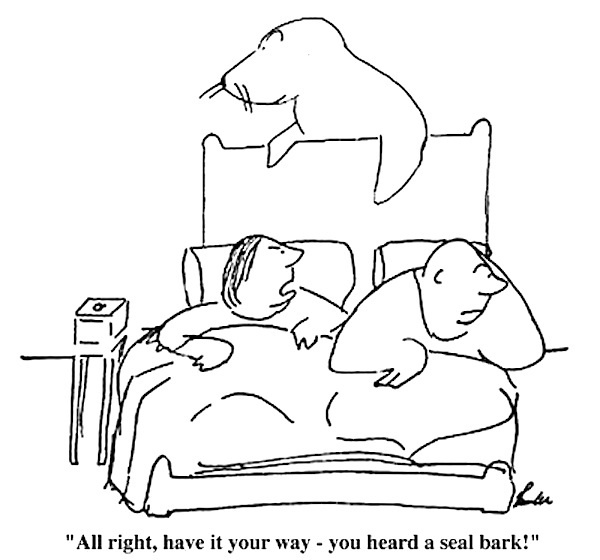 The second caption is clever but doesn’t work because it presumes the husband is speaking, which he’s not. It highlights, therefore, one of the most common captioning errors: failing to properly identify the character who’s speaking. As someone who attended law school at SUNY Buffalo—the Harvard of Western New York, just seventeen miles from the Falls—I especially liked that last caption. And yes, the Canadian side is better.